Do you know “London Bridge” is one of the most popular tourist attractions in Arizona, United States, second only to the Grand Canyon? 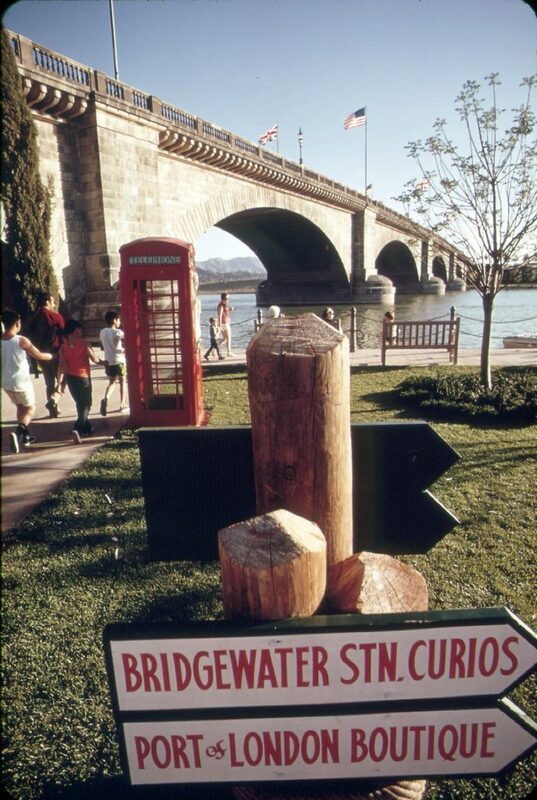 But what on earth is London Bridge doing in Arizona? 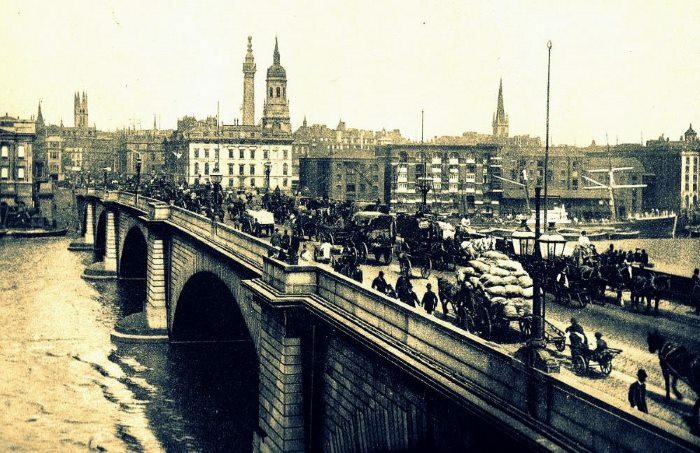 It was found that London Bridge was literally falling down – sinking into the Thames at a rate of one inch every eight years. The cause? Modern means of transportation like cars and buses which had become rampant and which the old guy couldn’t cope with. 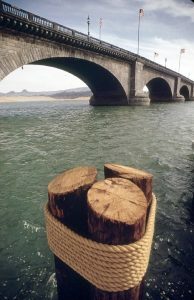 It was therefore decided that the bridge had to be scrapped and rebuilt. As the massive granite monument was about to end up in junkyard, a London councilor, Ivan Luckin, came up with the crazy proposal for the council to sell it to the United States. The proposal was met with skepticism but was finally accepted and Councilor Luckin was tasked to go and find a buyer in the US in 1968. The Americans were taken aback by his strange sales pitch. However for one eccentric businessman it sounded like a perfect plan. Robert McCulloch, a Missouri-based millionaire was known at the time for his pie-in-the-sky business projects the most recent of which was his bold acquisition of thousands of acres of land in absolute wilderness near Arizona’s Lake Havasu, an artificial lake created by a dam on Colorado River. 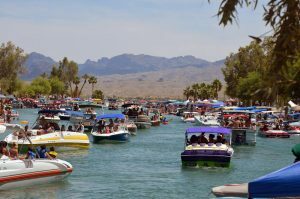 McCulloch had founded the Lake Havasu City there, and wanted to transform it into a tourist oasis. However, there was one major problem. Despite his best efforts he had not been able to attract any tourists. 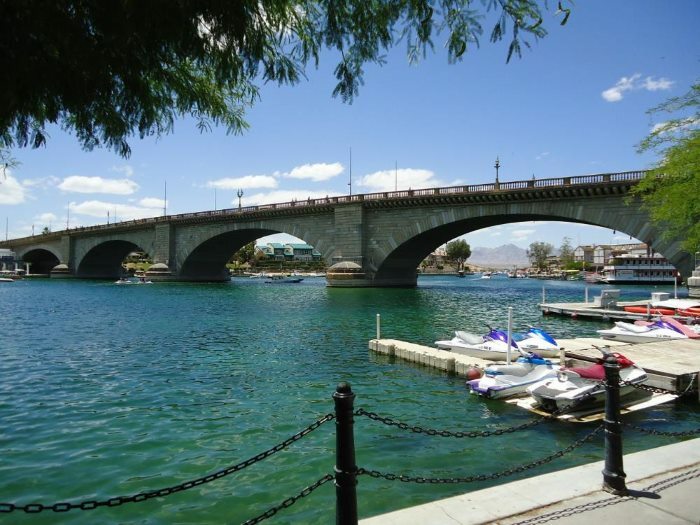 When he heard that the iconic London Bridge is on market, he decided it was just what he needed to attract people to Lake Havasu City. 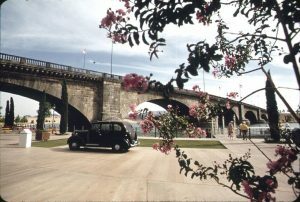 McCulloch paid an eye-watering sum of $2,460,000 for the 30,000 tons heavy bridge, dismantled and shipped it across the Atlantic, and had it rebuilt in Lake Havasu City. The bridge was inaugurated 45 years ago on 10th October, 1971, at a lavish ceremony which Los Angeles Times reported to be “a bizarre ceremony combining hoary English pomp and Arizona informality.” McCulloch, Sir Peter Studd, the then Lord Mayor of London, and “other London officials, their ladies and 17th century pikemen” were in attendance, in addition to over 25,000 spectators. McCulloch unfortunately died six years later, but is still remembered as the proud owner of the world’s largest antique. His visionary undertaking did eventually turn Lake Havasu City into a tourist attraction with an English Village and shopping complex built next to the bridge. Lake Havasu City continues to flourish with a growing population of 52,000. It is just a 2.5-hour drive from Las Vegas.